Seventy years after Israel’s proclamation of independence, are we progressing or regressing from resolving the Israeli-Palestinian dispute? 14 May 2018 marks the 70th anniversary of Israel’s proclamation of independence, and May 15 will solemnly recall the Nakba (“catastrophe”) that saw the displacement of some 700,000 Palestinian Arabs from Israeli territory. The extraordinarily successful achievement of Israeli state-building since the promise of a Jewish homeland—first issued by imperial Britain during the Great War (without moral or legal authority)—must be measured against the heavy price paid by the nearly 5 million Arab Palestinians who remain under Israeli occupation or blockaded in Gaza. The elaborate 1947 UN-sponsored plan for a Jewish state to co-exist alongside a Palestinian state was shattered by Israel’s sensational victory in the six-day war of 1967 and, despite repeated international endorsement of the “two-state solution”, we can now fairly confidently conclude that the two-state concept will not materialise. Furthermore, with recent re-alignments of power in the Middle East—with Iran now posing an immediate threat to Israeli territory from its footholds in Lebanon and Syria and with Saudi Arabia unexpectedly offering a rapprochement with Israel—the plight of Palestinians has probably slipped off the radar of international concern. 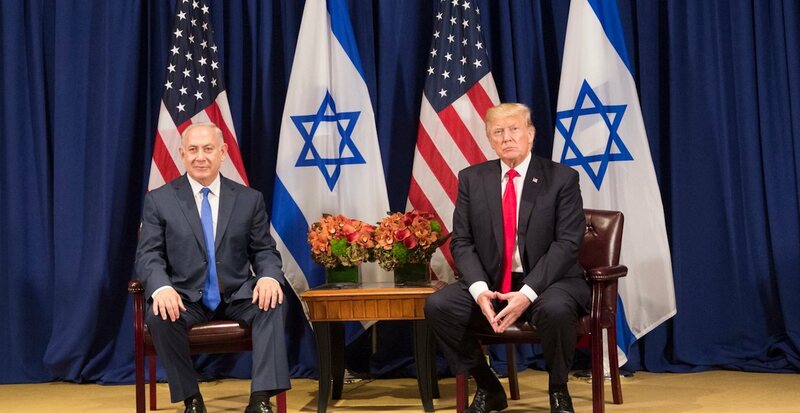 Although the prospects for establishment of a Palestinian state had been receding for several years, especially during the prime ministership of Israel’s Binyamin Netanyahu, the advent of the Trump administration probably sounded its death knell. President Trump’s promise in December 2017 to recognise Jerusalem as the Israeli capital, and the commitment on 12 May 2018 to transfer the embassy from Tel Aviv, persuaded the Palestinian president Mahmoud Abbas to abstain from any further peace negotiations hosted by the Americans, since the US could no longer be deemed an “honest broker”. It could of course be argued that the US never did qualify as an honest broker in the conventional diplomatic sense of being a disinterested third party. From the moment of Israel’s independence proclamation in 1948 the US assumed the role of chief protector of the Zionist project. In recent decades Washington has funded Israeli defence to the tune of more than USD$ 140 billion in current dollars (AUD$ 190 billion), believed to be the largest ever transfer of funds from one sovereign state to another. The current level of American defence aid is approximately USD$ 5 billion a year, but American support goes well beyond defence funding. Year after year the US has used its Security Council veto to block criticism of Israel’s illegal settlements in the occupied West Bank and, since Trump’s ascendancy, Netanyahu has been emboldened to announce a massive new building program in both Jerusalem and the West Bank. Israel’s Cabinet was never likely to commit to the two-state formula, even if the Gaza-based Hamas militants had conceded Israel’s “right to exist”. Several key members of Netanyahu’s coalition Cabinet remain firmly opposed to the concept, including defence minister Lieberman and the Jewish Home Party leader, Naftali Bennett. As for Hamas, the Sunni-led descendant of the Moslem Brotherhood, it certainly qualifies as a terrorist organisation; its primary objective since its establishment in 1987 has been withdrawal of the Israeli occupying force. 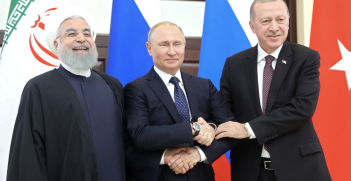 Its political wing has, on more than one occasion, signalled a willingness to negotiate a truce in return for recognition of the pre-1967 territorial boundaries. Were these signals adequately checked out? If it is now too late to persevere with the two-state formula, the only alternatives appear to be either a unitary state or a confederation of two self-governing polities which remain economically linked. But unitary status would annul any claim by Israel to be a Jewish state, because the Arab population is almost equal to the Jewish population and predicted to eclipse it by 2020. Moreover, Israel could no longer lay any claim to being a democratic state if it failed to accord equal rights to Palestinians. Israel’s proud boast of being the only democracy in the Middle East has long been a cherished plank of its vigorous public diplomacy. 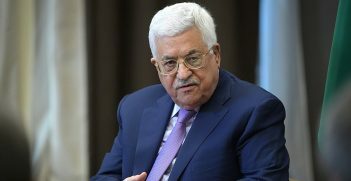 The ageing and ailing Palestinian president, Mahmoud Abbas, now seems to be a somewhat helpless bystander, but it would be difficult to imagine a less credible or less sympathetic trio of American negotiators in a revived peace process than President Donald Trump, his son-in-law Jared Kushner and Vice-President Mike Pence. In their public utterances not one of them has displayed much understanding of the history of the Arab-Israeli dispute, and Washington’s outright gift to Netanyahu of Jerusalem as the Israeli capital was not accompanied by any bargaining chip for the Palestinians. Kushner is an Orthodox Jew with no foreign policy experience but with precarious financial investments in Israel; more critically, he has had his US government security clearance downgraded from “top secret”. Pence is scarcely more credible as a participant in the peace process: during his visit to Israel earlier this year he admitted that his Christian fundamentalist convictions placed him in the Christian Zionist camp whose members eagerly await the end-times of Armageddon. Research polls in the United States have revealed that 82% of white conservative Evangelicals believe that God (through Abraham) gifted the whole of biblical Israel to the Jewish people. There seems little likelihood of the UN becoming a decisive player in resolving the Israeli-Palestinian dispute despite political support of Palestinian statehood from a majority of UN members. However, we should not discount other possibilities of a threat to the status quo. The first is the chance of Netanyahu being indicted on several corruption charges, as recommended by the Israeli police chief but so far resisted by Attorney-General Mandelblit. Another possible scenario is a third intifada or massive uprising in the crowded and blockaded Gaza strip. Yet another possibility is Israeli annexation of the occupied territories, a course reportedly favoured by the American ambassador, David Friedman. A fourth and perhaps most ominous possibility is outright war between Iran and Israel. On the 60th anniversary of Israel’s independence 10 years ago, the leaders of Australia’s major political parties heaped lavish praise in Parliament on the Israeli political and economic achievement without a single mention of the fate of the Palestinians. One must hope that any fresh parliamentary tributes this month might include at least passing acknowledgment of the Nakba. Emeritus Professor Peter Boyce AO is an adjunct professor in the University of Tasmania’s Politics and International Relations Program and immediate past President of AIIA Tasmania. 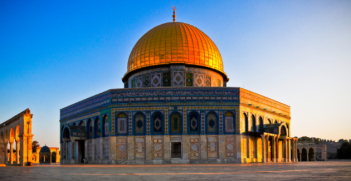 Despite Trump’s decision to relocate the US embassy and his unfavourable peace plan, Palestinian factions and the Arab world have failed to respond with a unified, meaningful strategy. What explains this?